Khorana Program | WINStep Forward | Connecting India and the U.S. The Khorana Scholar Exchange Program was created to foster a scientific two-way exchange between India and the United States, enabling Indian and US university students to work and study in the partner country’s research laboratories, thereby cultivating the upcoming scientific generation’s sense of science on a more global scale. 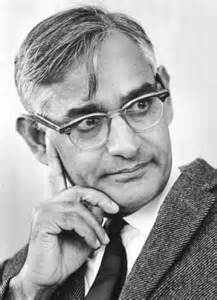 Founded in 2007, the Khorana Program honors Har Gobind Khorana, the Indian-born scientist whose research at the University of Wisconsin-Madison led to the first synthesis of a gene and ushered in the era of Biotechnology and Synthetic Biology. This ground breaking research won him and fellow researchers Marshall Nirenberg and Robert Holley a Nobel prize in 1968. Not only did Khorana contribute scientifically, but he also exemplifies the value of global scientific partnerships. The Khorana Program for Scholars receives generous support from the Government of India’s Department of Biotechnology, the Indo-US Science and Technology Forum, and WINStep Forward. American and Indian undergraduates in the fields of biology, biochemistry, and biotechnology are encouraged to apply. To learn more about students and mentors who have participated in the Program, click here!